After over a decade in its existence and several years after its competition, the world's biggest streaming service — Spotify — is now here in India, becoming the last major player to enter India's music streaming market. It's launching with the same dual-tier approach Spotify has elsewhere around the world. It's free to use, albeit with ads, and you can choose to pay to remove them (and get other advanced features such as offline listening and better quality) at a price. Spotify Premium costs Rs. 119 per month, though there are more affordable bundles available for students and shorter periods. Spotify's family plan is not available in India at the moment and the company told Gadgets 360 that it has nothing to announce right now. Spotify says it has over 40 million songs in India right now, and over 30,000 tracks are added every day. This, despite the ongoing legal battle with Warner/Chappell Music, a subsidiary of Warner Music Group, a big international label that represents artists such as Bruno Mars, Cardi B, Dua Lipa, Ed Sheeran, Led Zeppelin, Linkin Park, and Paramore among others. For now, that means thousands of songs are unavailable at this moment. Spotify said it's “working with labels to add more content” but didn't have a specific date to offer. What Spotify does have is a strong local slate, which is why it's so late to India, because Spotify “goes through a very strong development process”, wherein it looks at “local content and consumer insights, goes back and improves the product,” Spotify India MD Amarjit Singh Batra told Gadgets 360. 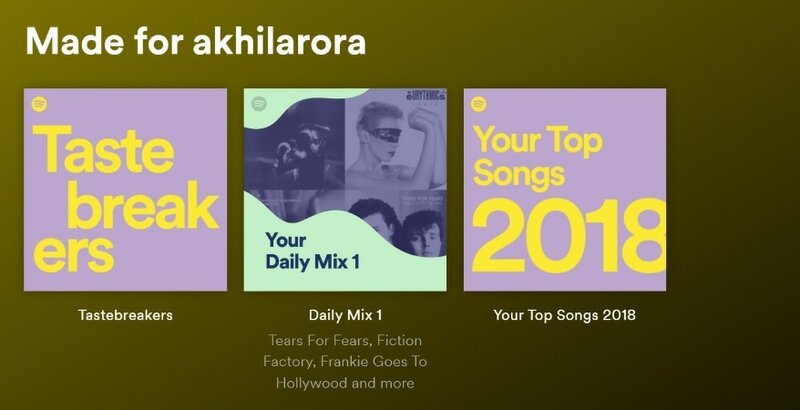 Though it offers music in several languages, its recommendation engines are best adapted to Hindi, Punjabi, Tamil, and Telugu in India, Spotify India's head of market operations, Akshat Harbola, said. The Spotify app does adapt to India's tumultuous mobile Internet, for what it's worth. By default, the quality setting is Automatic, wherein it usually plays at 96 kbps (Normal), but it will drop to as low as 24 kbps (Low) when necessary, Smith added, to give you users a smooth experience. For those wondering, yes, you can upgrade to 320 kbps (Very High), but only with Spotify Premium. With Spotify Free, you're allowed to pick from Low, Normal, and High (160 kbps). And lastly, the reason you can't sign up for Spotify Premium via the iPhone and iPad app is because Apple doesn't allow Spotify to link out to its website. That's because Spotify wants to avoid paying Apple a cut of the membership fee. Spotify used to offer memberships through the iOS app until two years ago, but they were more expensive to ensure Spotify still earned the same amount. In contrast to how it works everywhere else, Spotify is lifting certain restrictions on its ad-supported free tier in India. Spotify users in India can pick any song they want, on-demand, and there's no limit on how many songs you can skip as well. This is probably because it knows it's competing in India with the likes of JioSaavn and Gaana, which already allow this. Any app is useless if it's not available on your platform of choice. All the current players in India — be it Apple, Amazon, Google, JioSaavn or Gaana — have one or two major blind spots. Spotify excels in this regard, though. Name a platform and it's there. Android and iOS? Obviously, in addition to Android TV, Android Wear, Android Auto, Apple Watch and CarPlay. Windows and Mac? You bet, plus Linux and Chromebook too. And there's a Spotify app for PS4, Xbox One, Amazon Fire TV Stick, LG Smart, Philips Smart, Samsung Smart, and Sony Bravia TVs as well. At the time of writing, not all apps and integrations are available in India, though. Spotify said it's working on making both the Alexa skill and Google Home integration available. It's one thing to build apps, it's another to make them work together. That's where Spotify Connect comes in. 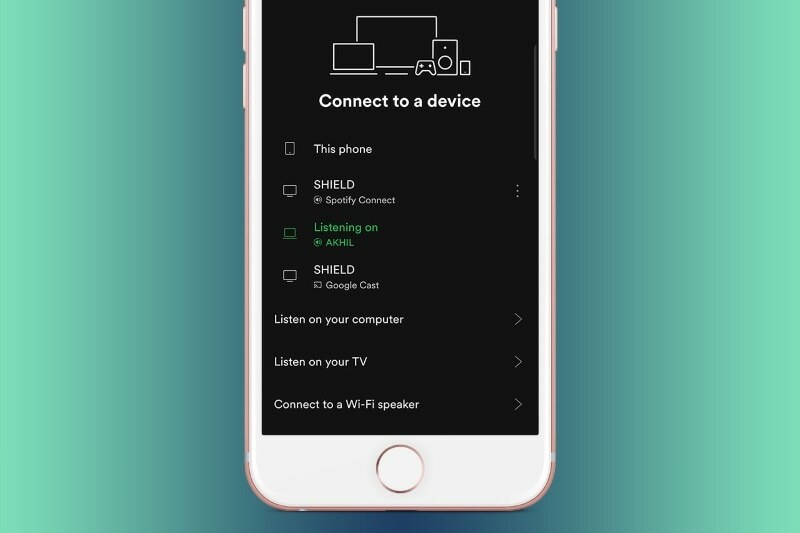 With Spotify Connect, you can transfer listening duties from a phone, tablet or laptop to another Spotify-enabled device on the same Wi-Fi network. The song picks up right where you leave off. It's effortless, and dare we say, a bit magical. To get started with Spotify Connect, make sure you've Spotify installed and up-and-running on at least two devices you own. Next, pull up Spotify on either and look for Devices Available on the now playing screen. If you do things right, you should see the list of available devices. Pick the one you want to resume listening on. Spotify is known for its discovery and recommendation engine, which is arguably the best in the business. And it helps you when it comes to your own playlists, as well. When you create a new playlist, the Spotify AI will suggest songs based on the title of your playlist. And with existing playlists, Spotify will analyse both the title and the songs you've picked previously to recommend more songs to add to your playlist. If you don't want to mess with your playlist but still want to be exposed to new music similar to what you already listen to, Spotify also has you covered. Head to the setting screen and look for Autoplay. If it's turned on by default, leave it be. If it's not, then turn it on. Now, whenever your playlist — or current play queue — ends, Spotify will keep playing similar songs, forever. Don't want to create your own playlists because it's too much work? That's fine by Spotify too. Just keep listening to music you like and Spotify will whip up (near endless) playlists known as Daily Mixes tailored to your tastes, combining your favourite tracks and artists with its own recommendations. Based on how varied your music taste is, you will see up to six Daily Mixes in the Spotify app. Internationally, for new users, Spotify says it takes “a few weeks” for you to receive Daily Mixes. But thanks to the language on-boarding screen in India, where Spotify asks you to choose from eight local languages you listen in, it's creating up to four Daily Mixes for everyone from the start. And of course, you should make sure to like or dislike songs in Daily Mixes to help Spotify improve the recommendations. Beyond that, Spotify has some built some exclusive playlists for India: city-based and ‘starring'. With the former, Spotify has curated tracks which reflect the sounds of Indian cities. It's starting with Bengaluru, Chennai, Delhi and Mumbai. Spotify will update these weekly and expand to more cities soon. With ‘starring' playlists, users can listen to playlists centred on stars and celebrities. Are you a fan of Aamir Khan or Rajnikanth? Well, there's now a playlist of just their songs. Unfortunately, one of Spotify's top global playlist features — Discovery Weekly — is not available in India yet. Spotify says it's working on bringing this to the country. That does exactly what you think it does. With collaborative playlists on Spotify, you can invite your friends to add songs to playlists you have created. It's a great way to prepare for an upcoming party, as it makes the whole who-decides-the-music process a whole lot more democratic. But we can't shield you from any complaints you might get for your choice of music, sorry. Don't have any friends? Make sure you're connected to Facebook in settings and then look for Find Friends on the computer (in the right-hand side) or iPhone (under Your Library). On Android, look for the add friends icon in Your Library. Do note that the friends feature is unavailable on mobile, unless you have Spotify Premium. Thanks to its partnership with Genius, Spotify users can access a bunch of trivia on the now playing screen during a song. For now, though, it's only available with English-language songs for the most part. You will also see key lyrics between all the behind-the-scenes info. Spotify used to have its own (full) lyrics, but that's not available any more. To get started with behind the lyrics, search for your favourite song on the Spotify app and hit play. Then, pull up the now playing bar from the bottom. If you see Genius cards with lyrics and trivia where the artwork should be, you're set. If you don't, then they are not available for that song, unfortunately. Let's open with the big caveat: this feature only works on the desktop app. For those that use Spotify on a computer, you can see what you've played in the past by clicking on the queue icon in the bottom-right corner, and then navigating to History on the central console. That's about it, enjoy! To get started on a computer, head to the Browse section in the top-left corner. Then, choose Concerts in the main panel. Make sure Spotify has the right city. Pick any concert that you fancy, and then click Find Tickets, if the option is available. You can also click on the artist name instead, if you'd rather listen to their music on Spotify.